Originally published in 1954, this book presents a concise explanation of the way in which production and prices are determined in the Western world. The text was written with two key aims in mind: to provide an insight into the workings of the productive system and to create a conceptual model for the reproduction of the productive systems created by modernized, Western nations. A bibliography, appendices and notes are included. 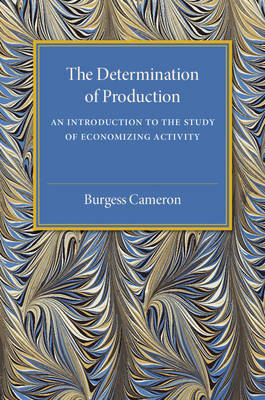 This book will be of value to anyone with an interest in the nature of production and the history of economics.